The 2019 Jeep Wrangler Pickup becomes the reality. Rumors surrounding this vehicle are louder every day. Nevertheless, opinions are having a battle about the name and the class this vehicle belongs to. 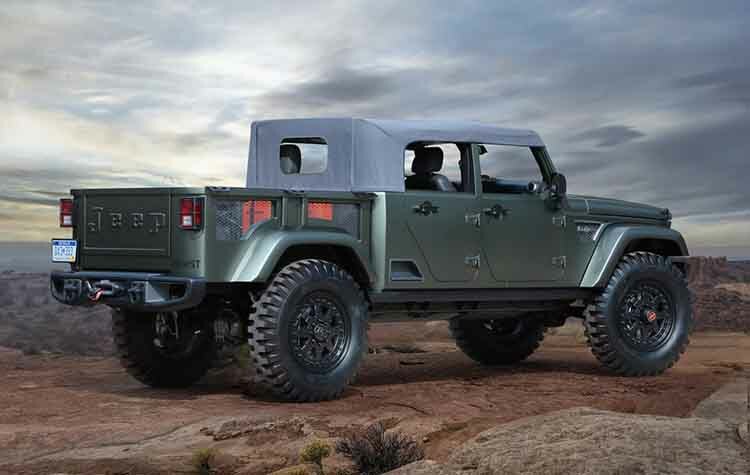 Wrangler is an off-road 4-wheel drive vehicle that is more a crossover than a truck. Although it has a small bed, we will see it more often with seats installed there. Nevertheless, the company recognizes its ability to switch to other class, and it is happening. But, the truck could arrive under the different name – Scrambler. Either way, the 2019 Wrangler Pickup is becoming a reality. The engine room is the most interesting part of the 2019 Jeep Wrangler Pickup. A 3.6-liter Pentastar V-6 unit is certain. We can see current Wrangler using this powertrain for off-road adventures. Capabilities are proven, and it would fit perfectly for a Wrangler truck. Petrol drivetrain will get a special tuning. After the revisit, the V-6 will be able to achieve 300 horses and 270 pound-feet of torque. This energy goes to all wheels through a 6-speed manual gearbox. The automatic transmission is optional, and it comes with 8 gears. Another option is a 4-cylinder Hurricane powertrain. The 2019 Jeep Wrangler Pickup could get a diesel version to boost overall towing capacity. Experts believe that standard petrol model won’t be able to pull more than 5,000 pounds. This is not enough for the truck class where Ford F-150 is dominating. However, with diesel unit, Jeep could get a significant improvement. Estimations are that this kind of powertrain can have a towing capacity of 6,500 pounds. It is not hard to imagine Wrangler being a pickup truck. However, imagination and reality are sometimes not so easy to match. Spy shots are not unveiling too much. In the matter of fact, we can see the things we could expect. Others are under heavy camouflage. Only shapes of 3-part hardtop are visible. However, we could find info about the soft-top ideas for the truck. 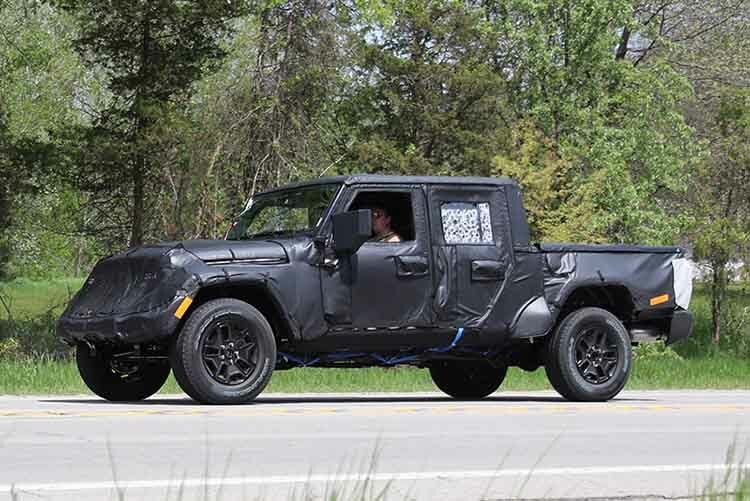 Nevertheless, other details about 2019 Jeep Wrangler Pickup are still unknown.